Sale-A-Bration, Stampin' Up! 's biggest event of the year, means friends, fresh ideas, and free products! 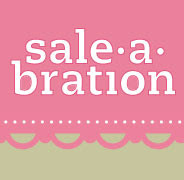 And with three ways to earn exclusive Sale-A-Bration products, there's something for everyone. 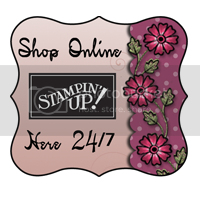 • Spend: Buy $50 worth of Stampin' Up! products and get a FREE Sale-A-Bration reward! • Host: Host a $300 workshop, and get a FREE Sale-A-Bration reward! • Join: Become a demonstrator, and get a FREE stamp set (up to a $47.95 value)! This promotion ends March 31, so contact me today to spend, host, or join! Or click here to see the Sale-A-Bration brochure. You can shop with me on the web 24/7 here.